We are a team of child support professionals employed by the Wisconsin and Illinois Child Support Agencies. Our purpose is to improve communication between our agencies and to learn more about the differences in the administration of child support in our states to enable us to process cases more efficiently and effectively. The Wisconsin/Illinois Border Project began in 2004 with a series of meetings and teleconferences. We soon found that, even though our differences were many, our common goals were to help children receive the child support they so deserve. Since 2004, we have developed methods of streamlining communication and sharing of information. Our Border Project team membership has increased and now includes child support caseworkers, attorneys and administrators. Our Border Project panel has been very popular and has presented informational sessions at both the Illinois Family Support Enforcement and the Wisconsin Child Support Enforcement Association Conferences. We have also shared information about our Project at the Child Support Bi-Regional Interstate Meeting held in Kansas City, Missouri in June of 2007. 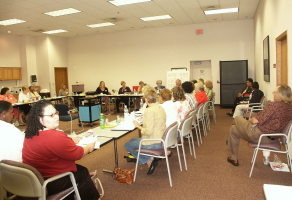 Our Project’s positive results drew the attention of the Federal Office of Child Support and representatives from their Chicago office attended our Border Project Conference on July 27th, 2007 at the Kenosha County Child Support Agency. There has been NO cost associated with our Project. What was accomplished was through dedication and hard work. Services to our communities have improved. What an anomaly: better government services-no cost! We share because we care.